Christmas snowflakes loop, gold version. Holiday background of snow falling. In 4K Ultra HD, HD 1080p and smaller sizes. hd00:12Lights golden bokeh background. High Definition abstract motion backgrounds ideal for editing. Elegant abstract. Christmas Animated Background. loop able abstract background circles. 4k00:27Christmas snowflakes loop, gold version. Holiday background of snow falling. In 4K Ultra HD, HD 1080p and smaller sizes. hd00:24Beautiful Snowflakes - winter gold background. 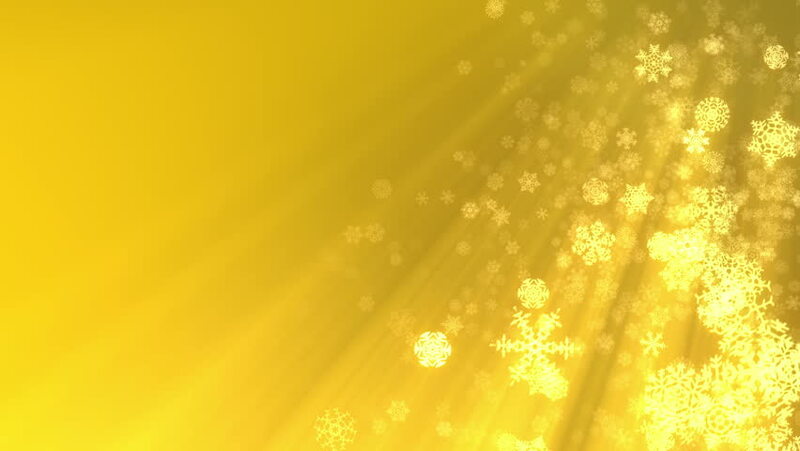 hd00:20Beautiful yellow glowing bokeh background with floating light particles. hd00:11Lights yellow bokeh background. High Definition abstract motion backgrounds ideal for editing. Blue elegant abstract. Christmas Animated Background. loop able abstract background yellow circles.